Senior counsel Gopal Subramanium told the Supreme Court on Wednesday that the right to privacy is a pre-existing natural right which is inherent in the Constitution. NEW DELHI: Senior counsel Gopal Subramanium told the Supreme Court on Wednesday that the right to privacy is a pre-existing natural right which is inherent in the Constitution though not explicitly mentioned. 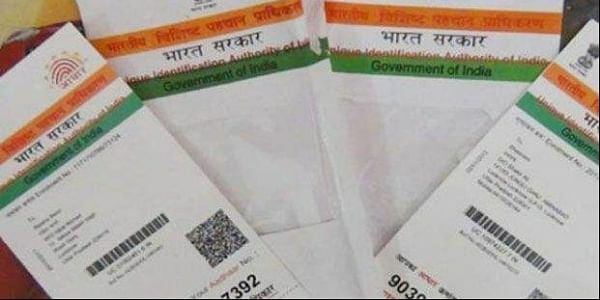 Subramanium is leading the argument on behalf of the petitioners who have challenged the Aadhaar scheme on the grounds of its being violative of the right to privacy. Subramanium said that "The right to privacy is recognised as a fundamental right under Article 21 of the Constitution. The concept of privacy is embedded in liberty as well as honour of a person." His arguments came as the apex court on Wednesday commenced hearing on the question whether right to privacy was a fundamental right. A nine-judge constitution bench headed by Chief Justice Jagdish Singh Khehar is examining the nature of privacy as a right in context of two judgments of 1954 and other in 1962 which had held that right to privacy was not a fundamental right. Besides, Chief Justice Khehar, other judges on the bench are Justice J. Chelameswar, Justice S.A. Bobde, Justice R.K. Agrawal, Justice Rohinton Fali Nariman, Justice Abhay Manohar Sapre, Justice D.Y. Chandrachud, Justice Sanjay Kishan Kaul and Justice S. Abdul Nazeer. Taking forward the argument that privacy is a fundamental right, senior counsel Shyam Divan told the bench that even Union Finance Minister Arun Jaitley during a debate on the Aadhaar Bill in the Rajya Sabha had asserted that privacy was a fundamental right linked to right of liberty under Article 21 of the Constitution. Responding to a question during debate in the Rajya Sabha on March 16, 2016, Finance Minister Jaitley had said that the top court was considering the conflicting judgments on privacy and whether it was a fundamental right or not. Having said that Jaitley told the Rajya Sabha that "The present bill (Aadhaar) pre-supposes and is based on a premise that it is too late in the day to contend that privacy is not a fundamental right. So I do accept that probably privacy is a fundamental right." Jaitley had told the Rajya Sabha that "It is now accepted that privacy is a part of individual liberty" and referring to Article 21 he said "Let us assume that privacy is a part of liberty and no person shall be deprived of privacy without due process of law". Having quoted the Union Finance Minister in support of his contention that privacy was a fundamental right, Divan said that in the past 40 years since the mid-1970s different benches of the top court have consistently held that privacy was a fundamental right. He urged the bench to reaffirm this right.